This mobile University of Wyoming billboard boasts two horsepower and will be viewed across the state this year and foreseeable future. Haflinger horses Pistol and Pete will patiently pull the College of Agriculture and Natural Resources sheep wagon, refurbished with new canvas and sporting new logos and lettering, in parades and at other venues, promoting the 125th anniversary of the Wyoming Agricultural Experiment Station (AES). Their first appearances are at the Cody Stampede parades July 3-4 and July 9 at the Laramie Jubilee Days parade. The pair's color scheme may not be the OFFICIAL institutional color tones mandated by the University of Wyoming marketing team, but there's no doubting the two Haflingers represent the university with their brown and gold hair and manes. The AES, housed in the college, directs operations at four research and extension centers in Wyoming: Laramie, near Lingle, Powell and Sheridan. Pistol and Pete are expected to put in appearances at the centers' field days this summer and at other venues across the state, pulling the college's revamped sheep wagon and offering rides on a flatbed trailer. Laramie R&E Center director Doug Zalesky believed the college should make more use of its sheep wagon – a symbol of Wyoming's ranching heritage that had been sitting idle at the Laramie center – to promote the AES 125th anniversary and the college. Zalesky received the go-ahead from AES director Bret Hess and Frank Galey, dean of the college, to revamp and use the wagon. "Some things needed to happen," noted Zalesky. "One, we needed to find a team to pull it, and two, we needed to update the logo and the wording to the College of Agriculture and Natural Resources." 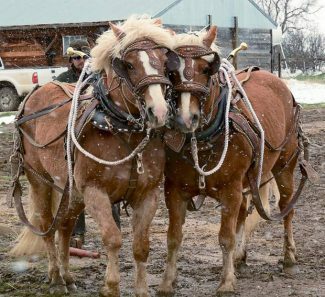 Laramie R&E Center beef manager Travis Smith said the two outlined what they wanted in the team: a smaller-framed draft horse broken for the purposes for which they would be used. "We came to the conclusion a nice set of Haflingers would be ideal," said Smith. The breed, which originated in present-day Austria and northern Italy, has a gentle disposition, is easy to handle and travels easily. "We started looking for parade-broke Haflingers, and it went downhill from there," Smith said. They checked Pennsylvania, Ohio, and the closest set was in Missouri. Meanwhile, Smith had contacted Ty Blake at Wyoming Wagon Works in Laramie to ask a few questions about the wagon. Smith and Zalesky visited him the next night. The pair was exactly what they wanted. The horses had belonged to the late Dean Alexander, a local family, that had expressed to Blake they preferred if the team could stay near Laramie. 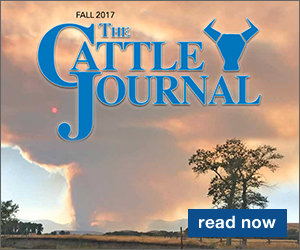 The team was used occasionally to feed cattle at the livestock farm west of Laramie last winter. Smith said the number-one question he received when word got out they were bringing in the team was, "Why feed with a team of horses when you have all the nice equipment out here?" "I told them I can still feed with nice equipment when I have to, but I get to feed with the team. It's not a curse. It's an enjoyable, kind of a relaxing part of my day," he said. 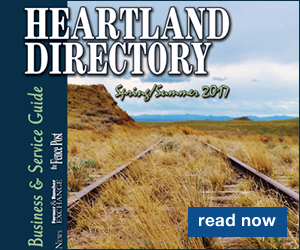 The team and wagon connects modern day Wyoming to when the AES was started in 1891, only one year after the last soldiers left the decommissioned Fort Laramie and one year after Wyoming was admitted to the union. 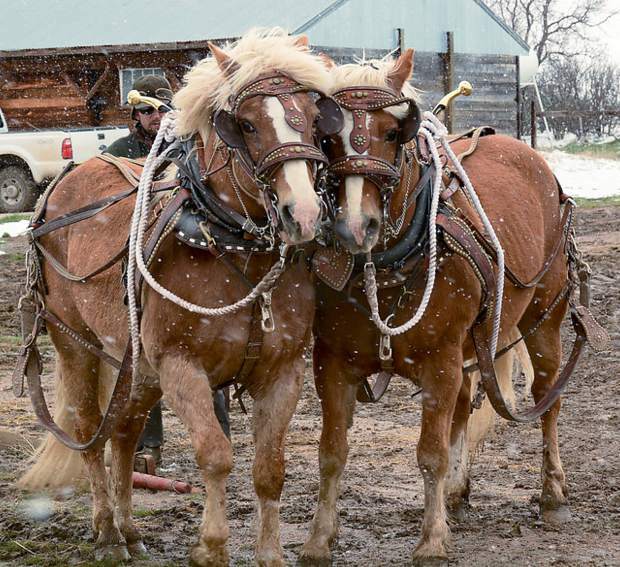 "It's a piece of our heritage to have a horse-drawn wagon represent the college and the University of Wyoming and maybe connect the modern day Agricultural Experiment Station with the original ag experiment station," Smith said.